Lighting Up the Foxes Den - Reclusive Fox ""
We’ve been in our new home for three months now, boy has it gone fast. We’re all settled in, but I’ve been having a problem. When I first moved in I loved working in the conservatory. It was warm all day long and I adored being in there listening to the rain on the roof, unbelievably relaxing. To cut a long story short the glare on my laptop resulted in a nasty case of eye strain. So I’ve had to take a break from screens for a bit and let my eye recover and rethink how I work. Thankfully I was offered the chance to work with The Lighting Superstore and through them I have come up with a solution that should save my eye sight, phew! I picked two lamps from their vast collection. One is a desk light that is positioned on my desk. Overhead lights are not ideal for computer work and I personally hate them, so a lamp like this one is perfect. It’s actually called the Hobby Table Lamp and it takes up to a 40w E27 bulb. 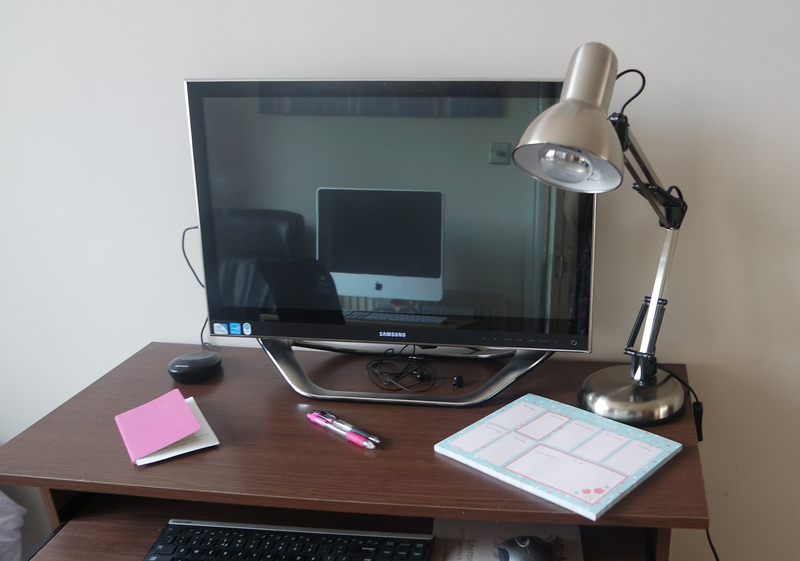 I am able to adjust it quickly so I can find the perfect position whether I am working on the computer, reading or writing at my desk. 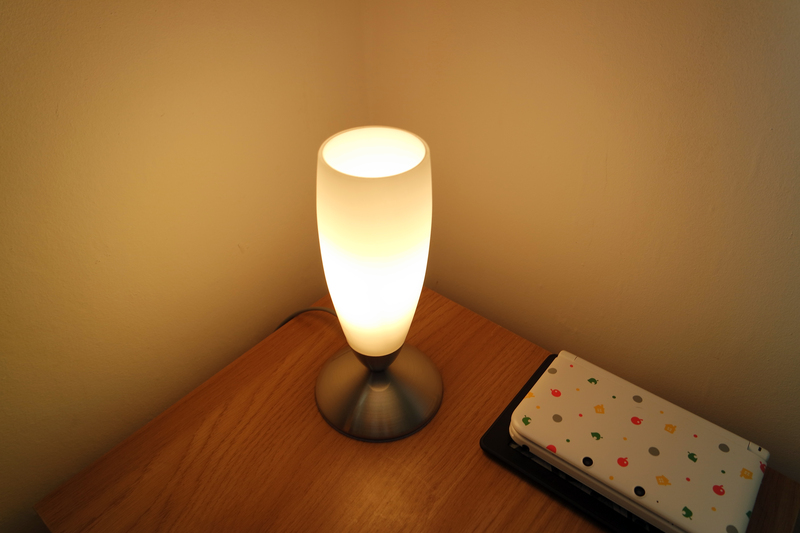 The second light I chose is the Eglo slim table light, which takes a 40w E14 bulb. I needed a bedside lamp as my previous one broke about a month before we moved. I wasn’t expecting too much from this lamp but I was really pleased with the quality of the glass shade and the gentle light that’s emitted. My bedtime routine does involve messing about on my phone or Kindle HDX and I have been playing on these devices with the lights off in the room – not good. 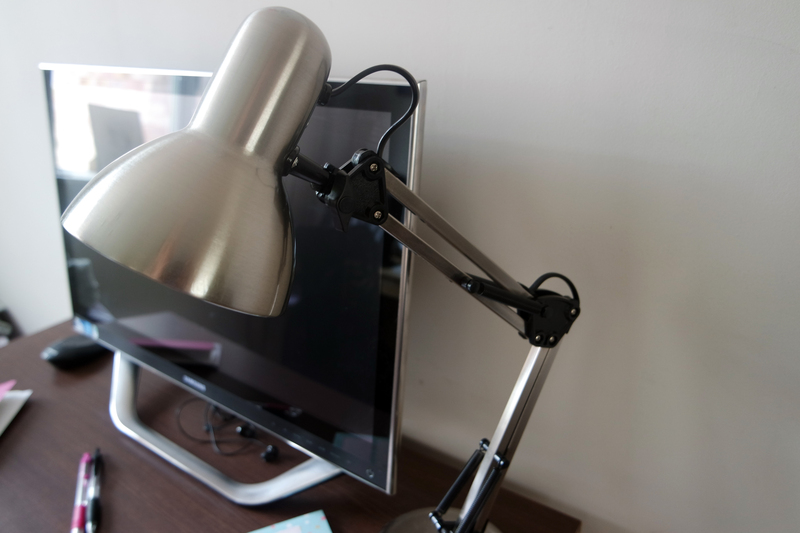 LED screens like these can lead to disrupted sleeping patterns (check), eye strain (check) and headaches (check). With my new bedside lamp I am able to have one last look on my gadgets before settling down for a quick session on my 3DS and reading a few pages on my Kindle Paperwhite (highly recommend the Paperwhite by the way and they’ve just released a new one – worth every single penny!). Both of these lamps are excellent quality. I’ve had them for almost two weeks now and I’ve not noticed anything negative. The Lighting Superstore were excellent on the communication front too, letting me know when to expect the order (delivered in the hour window they gave me) and told me to get in touch if I had any concerns. Another plus is that my eye is finally back to normal, although I am still limiting my time in front of the screen. At least I have decent lamps in my house that allow me to work and relax without causing any damage. All I have to do now is stay out of the conservatory when working – sad face.